Things are looking brighter each day for the prospects of the 2018 RBC Canadian Open as more marquee PGA TOUR and European Tour stars make their commitment to play this summer in Oakville. That group includes the winner, and now two-time U.S. Open Champion, Brooks Koepka, currently the #4 ranked player in the world. He will be joined by recent tour winner Bubba Watson, Tommy Fleetwood, and long-hitting Tony Finau in the field. It is a player listing that already includes the #1 player in the world, Dustin Johnson, who is returning to Canada’s National Championship that will be played on July 23-29. Fleetwood will add a new flare to the tournament as this will be his first appearance. The 10th ranked player in the world, he had a near heroic finish at the U.S. Open with a closing 63. His precise iron play should be a good fit at the Jack Nicklaus-designed Glen Abbey. Finau is no stranger to Canada as a past member of the Mackenzie Tour-PGA TOUR but his stature has continued to rise since that time. He is off to a record start in 2018 and already counts a PGA TOUR win on his resume. Watson is now the first 3-time winner on TOUR in 2018 after his recent win at the Travelers Championship. With his wife being Canadian, the RBC Canadian Open has become a regular stop for him. This will mark his 8th appearance. Ryder Cup star and fan-favourite Ian Poulter is also committed to compete in the RBC Canadian Open. 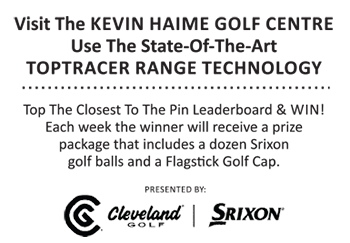 Poulter has three career PGA TOUR wins including the 2018 Houston Open. He has three top-10 finishes in 2018 and is currently ranked 28th on the world ranking. Players still have several weeks to commit to the Championship and you can expect more names, including those of Canadians, to be added in the near future.